JUST ARRIVED - LOCAL TRADE!!! 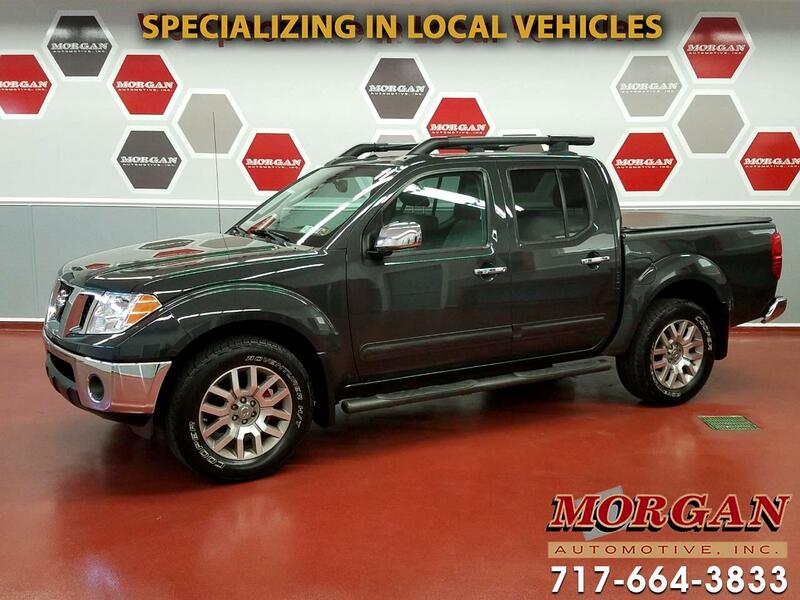 GREAT CONDITION 2011 NISSAN FRONTIER SL 4WD CREW CAB****SUNROOF****HEAVY DUTY CARGO/LUGGAGE ROOF RACK**** his is a great value mid-size truck that is very-well equipped with heated leather seats, fixed running boards, touchscreen Pioneer stereo with AM/FM/CD/SXM and Bluetooth, traction control, power equipment, cruise control, rear parking sensor, spray-in bed liner, tonneau cover and tow package with hitch and 7-pin wiring harness. Has a new PA inspection, fresh oil change, and tires and brakes are in very good condition. Comes with a 4-month/4,000-mile powertrain warranty with options to extend coverage for added piece of mind. Trades are welcome and financing is available.